I’m writing to say THANK YOU for making this student directed seminar a huge success. Firstly, people came to class AND did the assignments 🙂 That in itself is a big deal because independent study is something most people won’t do. So you all get big digs for that. One key success of the seminar is that UBC Farm is now on the map. This is the first time ever! It’s pretty cool because after a year plus of rallying to show the worth of the place it now sits in semi-permanence on the website. And we had something to do with the final push. One of our students read a UBC Student Media article and called Campus and Community Planning for clarification. A short time later, there it was, on the map. A wonderful community put in a massive effort to help keep the UBC Farm in full and we are glad to be a part of that community. We look forward to watching the Farm continue to grow long into the future on the soil it stands now. Secondly, The event at Agro Cafe was sweet! It was a lot of effort putting together all the details for the night and I’m glad we all tried. It was a fun time, good food, good music and great people. Lastly, I wanted to say that we put together some really cool projects and it was interesting to see you all take charge of a project and go with it. We put together 2 films, one podcast, 1 zine, maintained a blog and had a farm visit all in one semester. This class was nothing without you all, thanks for being a part of it. We learned that sovereignty is not something you fight for and win and then it’s complete until something physically changes. It is something that we must work for continually, relentlessly and time and time again. Complete sovereignty is nearly as possible as drawing a perfect circle. Yet, the pursuit of perfection is an exhilarating ride. I know that we all learned that we create our own world. The rest of our lives is a self-directed study. In order to succeed we must be strong independent workers capable of collaborating our efforts with other passionate people. And of course, we all learned to appreciate our food, at least, just a little bit more. It’s the source of our existence, a great gateway into environmental understanding, and if eaten locally each bite can be an act of solidarity to help take a bite out of inequity. A mouthful, I know. But basically, food is a powerful tool for community building. Disrespecting food is like angering your neighbor. Thank you seminar-neighbors for helping me discover that when plagued with the decision at the grocery store, local vs organic, it’s a usually a better bet to buy the local. Now let’s get out there and show people that how fun it can be to take action on your block. In the words of Jake Cohn, let’s get vocal about eating local! What started as a Directed Study Course in the Fall of 2007 at the University of British Columbia, has now turned into an event that students continue to look forward to every other Friday. From September to April, Community Eats is held at Sprouts in the Student Union Building (SUB) and attracts over 250 students, faculty and staff members as well as those who live within the UBC campus. Renee is just one of many volunteers who helps to continue to make Community Eats an appreciated and educational lunch for everyone in the UBC community. The idea behind Community Eats is simple. Everyone receives a free or by donation, nutritious hot lunch – provided they bring their own reusable containers. While serving a delicious hearty stew, quinoa salad, fruit or donated bread from Terra Breads, one will learn about food security and available locally grown seasonal products. Not only do so many people enjoy eating the lunch provided by Community Eats, the lunch is also delivered in a way that maximizes sustainability. Whether the volunteers are picking up bread through the bike coop program, taking a bus to the nearby Save on Foods or encouraging students to use only reusable containers, Community Eats is a well balanced initiative. As an added incentive to support Community Eats, the remaining unused bread and/or produce will go directly to the UBC Food Bank. This year, the program is trying to indirectly make a difference in someone else’s life. 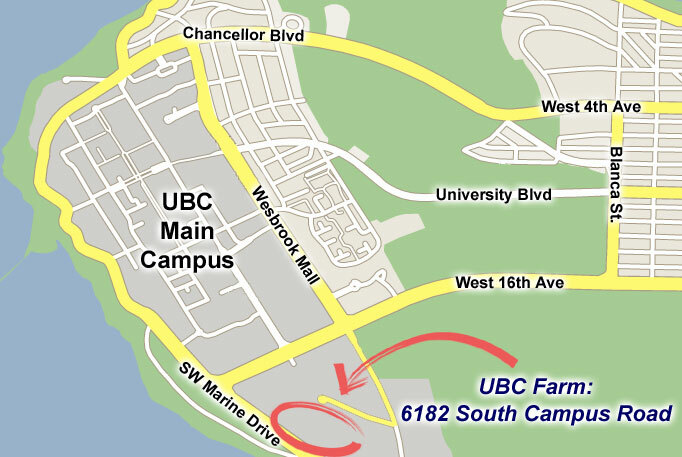 Any leftover or unused food will go directly to the UBC Food Bank which is located just across from Sprouts. We can thank a group of volunteers for making this event a success. Those people who pick up food every Wednesday prior to the event, and start cooking the very next day with ingredients they have on hand. The volunteers rely on the kitchen space on the main floor of the SUB. Depending on the produce they receive, the lunch is usually thrown together and surprisingly turns out to be a tasty and nutritious lunch. The cooking portion of Community Eats is a creative and social process, in which the volunteers are keen on sharing their recipe with others. comments a fourth year undergraduate student at UBC. I experienced my first Community Eats about a month ago and was amazed at how popular it was. Lines ups were found nearing The Fringe Hair Design, students who appeared to be regulars, were waving and saying hello, and others were just excited to see what was on the menu. Laughter and excitement was heard throughout as well as students reading the educational components posted outside the door and on the nearby walls. The only reason they collect donations at Community Eats lunches is to help cover the oversets of these staple items. From finding distributors, to picking up the food, to preparing the actual meal, the entire lunch is brought to you by student volunteers. The plan has lived up to what the founders have envisioned and are continuing to learn and improve the event. Community Eats is just one tool to create awareness about food security issues. Without it, an immeasurable amount of food would be thrown out. Many students are drawn to the event because it is free. I strongly believe that if there was a cost associated with the lunch, it may deter people from coming and it goes against the main message that is being conveyed. the project has escalated and has become an event students look forward to. To some, it has changed the way they view food and have become consciously aware of what they eat. If you are also interested in supporting Community Eats, they will soon be looking for volunteers for the newest Assistant Director positions. But if that is not of interest to you, stop by at the next Community Eats and experience what everyone has been talking about! Dorward, Caitlin, and Heather Russell. “Community Eats Handbook.” Community Eats. 2008. Web. 28 Nov. 2009. <http://ubcsprouts.ca/communityeats.html>. Wild, Renee. “Why Free? Why Donate?” Web log post. Community Eats. Blogger, 6 Feb. 2008. Web. 28 Nov. 2009. <http://communityeats.blogspot.com/>. It’s heard in the low grumbling of the construction trucks. It’s seen in the circling birds overhead, exhausted and tired of looking for somewhere to stop and feed. It’s felt in the changing winds, the dirty smell in the air now, traveling through town. 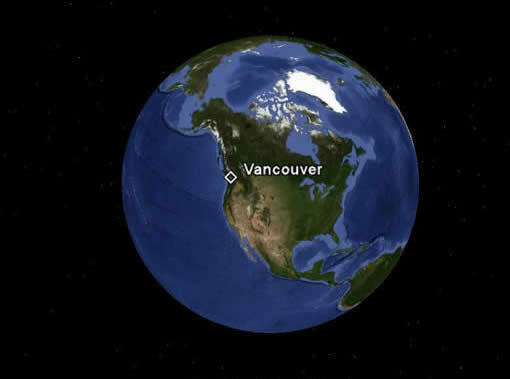 Just south of Vancouver, situated on the Fraser River delta is the community of Delta. The construction of the 40 km long, 80 km/hr South Fraser Perimeter Road (SFPR) is of big controversy, and is planned to make its way directly through Delta’s farmland, a seed bank of fertile prime farming land. One of the greatest threats faced from the construction of the SFPR is the loss of this farmland and the associated ecological impacts that will be seen in Burns Bog. There will be deepening impacts on regional access to local food in the Fraser Valley in the future, while wildlife habitat, bog hydrology and water contamination will be the major issues impacting biodiversity of the Delta region. 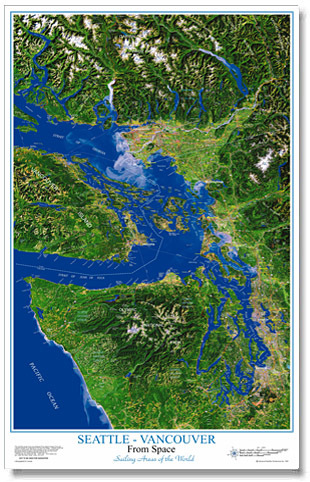 It is widely believed that the Delta region has some of the most productive farmland in British Columbia, if not all of Canada. The agricultural loss from the SFPR will be significant. Over 1000 acres of farmland will be lost and wiped out completely. Over 30 farms, most of them family farms will be directly affected by the construction of the road, and hundreds more will be impacted from various forms of pollution. [i] In a time where food security, environmental protection and lowering our carbon emissions are increasingly hot topics, it seems the South Fraser Perimeter Road is mindlessly moving forward in the wrong direction. Delta farmers have stories to tell. Dozens of them have been in communication and negotiation battles with Gateway (SFPR’s parent project) representatives for up to three years. One of these farmers is Warren Nottingham[ii]. In July of 2009, Nottingham had more than 80 of his 249 acre property expropriated because of SFPR construction. His land will be divided in two by the freeway; his blueberry crop will not be accessible for annual harvest. Nottingham has been in and out of meeting for two years, and at each one was looking for timeline and commitments, and received zero promises from Gateway representatives. In an interview with the local Delta Optimist newspaper, Nottingham said that “they (the Gateway project managers) weren’t very committal at all. Our consultation with them has been a very bad experience. We found that this consultation process was a scam.”[iii] Nottingham has lived his whole life, and is only one of many farmers in Delta that struggled and lost the right to farm on his own property. “If the highway is built without any mitigative/protection structures between it and the Bog, there are very high risks of negative impacts on bog hydrology because all incursion into the water mound and peat mass change bog hydrology and directly jeopardize integrity. In particular, water exiting the Bog will pond against the highway in roadside ditches, and water running off the highway on the Bog side (and flowing into the bog) will carry petro-chemical contaminants, heavy metals, and nutrient-rich water from the road surface and road fill material.”[v] The remainder of the report has stated, in effect, that if the road continues as planned, the ecological impacts will be severe and irreversible. 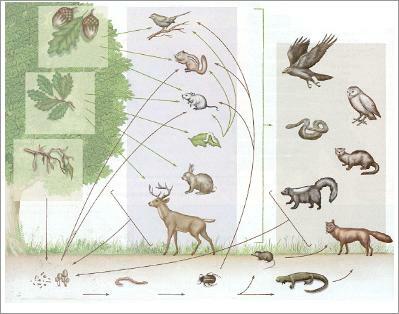 The report from BCEAA echoed that of Environment Canada’s, highlighting the severity of its ecological impacts, specifically the detrimental effects this will have on hydrology and wildlife habitat[vi]. As the impacts of the SFPR will most deeply affect the Delta, the Municipality of Delta’s key requests put forth to the Gateway Project (the parent project of the SFPR) related to agriculture were to have “no net loss of agricultural land in Delta”, and that the “indirect impacts be fully mitigated”[vii]. A number of suggestions were made in order to mitigate impacts from Delta Council. To continue with construction, the Gateway Project legally had to developed two (which are rather timid of a solid monitoring strategy) documents containing commitments in response to municipal, provincial and federal environmental and ecological concerns about the project which include the Agricultural Enhancement Strategy and the Summary of Agricultural Impacts and Mitigation/Compensation Commitments. [viii] Both of these documents outline commitments to the community of Delta and strategies to be implemented (none of which have to date). Unfortunately, these documents have generally been ignored, the monitoring process has been severely overlooked, as has any real consideration for the dire impacts on the local Delta ecosystems. Furthermore, outlined in a report by the Agricultural Land Reserve, it was confirmed that “Environment Canada concludes that the management objectives for restoration of Burns Bog, to which the Province of BC, GVRD and Corporation of Delta committed to Canada in the Conservation Covenant and further articulated in the Burns Bog Management Plan are likely not attainable should the project proceed as proposed.”[ix] Again and again, environmental warnings in various forms have been generally overlooked, as the construction moves forward each passing day with little to no implementation of any real mitigation, as promised. Many long-time Delta farms and their farmers have been deeply impacted by the aggressive and ecologically destructive construction of the SFPR. More than ever before, the ecosystem of Burns Bog is under serious threat of irreversible hydrological damage. 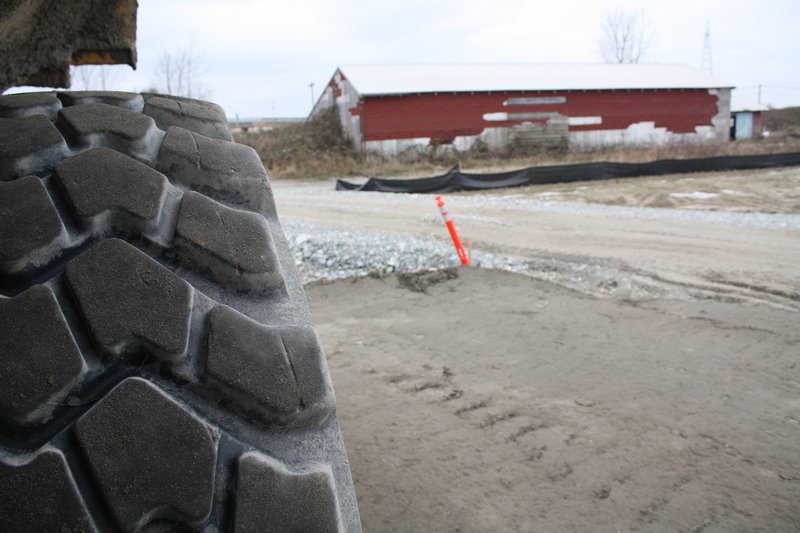 There are 1000 acres of some of the most prime agricultural farmland in Canada current being paved over t construction of the SFPR. [x] Not surprisingly, the Tyee Vancouver independent newspaper has proclaimed Delta South as “the angriest riding in BC”[xi], for its public outrage and resilience in opposing large development projects. Hopefully, with the force and initiative emerging from many Delta and non-Delta residents, we will see stronger leadership to protect local farmland and food security. At a bare minimum, more legitimate environmental monitoring is a necessity, as is enforcement of the implementation of mitigation strategies already put forth by the Gateway Project. More holistically, the SFPR must be put under a large microscope to reevaluate its destructive presence in the BC’s agricultural hub, and explore alternatives. The UBC Farm is a twenty-four hectare student directed and developed farm, located in the heart of the University of British Columbia endowment lands, in Vancouver, Canada. The farm is fully operated by university students and community volunteers. Due to the enviable farm’s location, the farm’s purpose is to preserve nature within the city, and to allow the community to have access to locally grown and fresh food. However, not everyone sees the farm as an environmental wonder, but rather as a big wasted area needed to be populated with large-scale high-income housing. The very same reason that permits the farm to allow the community to buy local foods, which is its proximity to the city, is the same reason why many construction developers want to destroy the farm and make way to large profit homes. It is our time now to stand up against big corporations and show them that we are not here to let the Farm go to waste. The Farm is ours, hence we should protect it. We are fortunate enough to have a farm in such proximity, that we cannot let ignorant developers destroy it. The Farm is there, and right there is where it belongs. The farm was first started in the mid-seventies for agricultural development1, and by the nineties it transformed to what it is nowadays, a source of organic food, employment, and a recreational area for students and the community. For several years now, the farm has been used by almost every faculty for research purposes or for recreational activities. In 2008 alone, as stated on the UBC Farm official website, “eight of UBC’s eleven faculties, four of UBC’s eleven schools, and both of UBC’s colleges participated in active academic projects at the UBC farm.” This means that the farm is not only there to produce organic foods, but also to allow students and faculty staff to develop and exercise agricultural research. Besides the benefits outlined above, one must ask itself how many cities have the privilege to feature a farm within their city’s core? Some cities, like New York, Toronto and even Vancouver, can claim they have large extensions of city parks throughout their cities. However, one can be sure that New York and Toronto’s metropolis do not come anywhere close to having a farm within their urban areas. Vancouver is very fortunate to have a farm that acts like a “natural aid” to the city’s polluting infrastructure. Although this is quite a well thought definition, it is pertinent to add that importing produce also negatively affects the employment of locals and what is even more, the carbon foot print, referred as “food miles” in the organic world, is greatly increased. When local farmers face foreign competition, they usually take the worst of it because they cannot simply battle the large scale production of corporations. The reason large corporations are able to produce such large quantities, is because they can treat their produce and make them last longer without expiring. Also, they can produce bulk quantities, leading them to use labour more efficiently. If one was to compare the carbon foot print of any produce imported to UBC with one produced in the farm, the results would be quite overwhelming. For example, one can choose carrots produced at UBC Farm and carrots massively produced in California. Producing a carrot usually takes four months from the moment is seeded to when it is picked out of the ground. They need a rather colder climate in order to properly flower and consequently grow out of the ground. In the northern hemisphere, outdoor carrots are normally seeded in February and harvested in late May or early June. UBC farm is not an exception, and the carrots produced there are sold during the farmer’s markets and the remaining carrots are sent to Sprouts, which is the local produce store, located in the basement of the Student Union Building at UBC. On one hand the carrots produced at UBC Farm are completely fresh. They are taken out of the ground, washed and ready to be sold. The miles traveled by this carrots is relatively insignificant. The carbon foot-print is not there. On the other hand, the carrots produced in California are not as “fresh” as the production companies claim them to be. In order to keep produce “fresh,” or at least in an eatable condition, there are several preservatives and pesticides needed in the harvesting processing. This is one of the main reason why eating locally is more healthy. Moreover, after the carrots have been produced, they still need to travel large distances. On the case of the carrots from the farm, the distance travelled by the produce is about 2,700 metres, which represents a very small carbon footprint. On the other case, the carrots from California need to travel about 2,000 kilometres. This is over seven hundred times the distance travelled by a carrot from UBC Farm. The carbon footprint caused by a carrot sitting on a truck for more that three days, cannot be compared to a carrot that is either immediately sold after is taken out of the ground, or a carrot that is transported, in rather a small car, no more than 3 kilometres. After clearly depicting the benefits of growing food locally, it is obvious that the best option for our community and our own bodies is to avoid “fresh” food that comes from places that are quite distanced from where we live. Although some times it is needed to purchase produce that simply does not grow in our communities, due to climate conditions, it is imminent that for our own good we eat locally grown foods. This is the only way to support local communities and to avoid pesticides and preservatives. Our bodies demand that we eat healthy, our values demand the right to protect the farm and keep it working for the sake of our community. With this paper I intend to make every reader aware of the negative effects of not consuming organics, and the great loss it would be to see the UBC Farm turn into a big housing complex. The farm is a gift given to us that needs to be preserved. The farm is there, right there for us to make the best use of it. The vexing battle of protecting UBC Farm is about to come to a close. 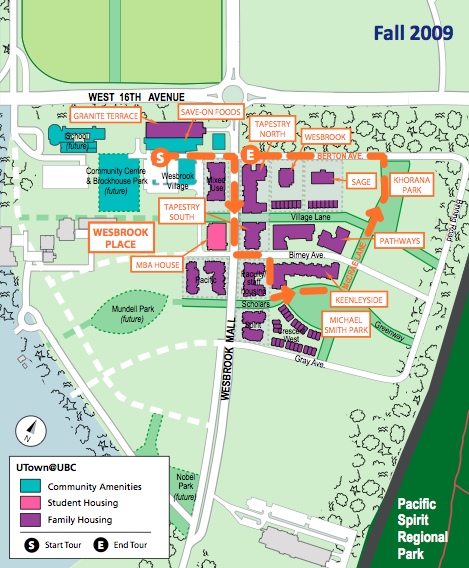 A year after the Board of Governors (BoG) made its infamously vague South Campus announcement, the ‘future-housing’ decision regarding the UBC Farm is currently in-effect. However, the future is looking secure for UBC Farm. “For the first time ever, the Farm appears on the official map!” says Academic Coordinator at the Farm, Andrew Rushmere. The story of how this place appeared on the radar is as complex as a human ecology web. Friends of the UBC Farm member, Marina Nogueira, advocates for full preservation of the 24 hectacre organic farm by saying that, “it serves as a model for moving towards a locally food secure Vancouver by acting as a hub for environmental education.” The battle over preservation began in 1997 with the release of the Official Community Plan that designated the Farm as a ‘future housing reserve’ likely to be relocated or downsized by a third. Community participation in the planning process sparked in the Fall of 2008. 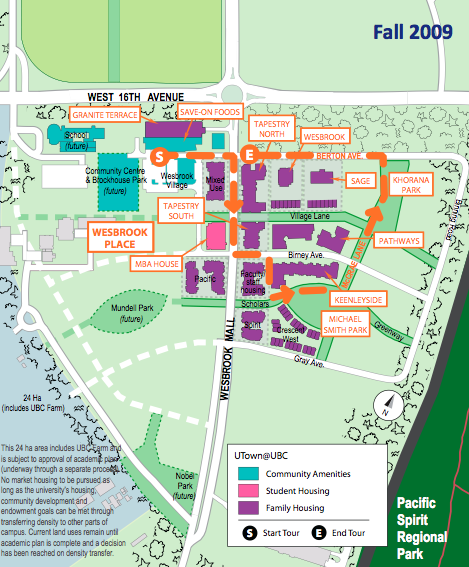 The publication, by Campus and Community Planning, displayed three options for South Campus none of which included an intact 24 hectacre farm. Since then, a wealth of influential support amassed which eventually led to a December 1, 2008 media publication by the BoG. Accompanied with that was a promise of decision within a year. At this time, President Stephen Toope has not kept that promise. As a result of the Save-the-Farm campaign was the creation of a participatory-based document. The new Sustainability Academic Strategy (SAS) was completed as of October 17. On December 3rd the Board received the SAS. A decision to keep the Farm or not is expected soon. In this case, it seems contradictory that farming would level forests. A section of the Endowment Lands forests was wiped out by by development of the University Town housing. It’s vision outlines a goal that conflicts with what’s actually happening. U-Town seeks to “creat(e) a compact community”. In contrast, 5,000 new residences are now situated on the outskirts of campus and on top of forest-land. Campus and Community Planning has continued to develop expensive non-student housing, senior living and Sauder-students-only apartments, on top of carbon-storing forest land, in the past year. They also rearranged Walter Gage Residences to fulfill student hostel housing needs of commuter students. As reported by the Ubyssey, Jim Frankish, professor in the School of Population & Public Health, argues that “[i]f we truly wish to ‘secure a sustainable and equitable future for all,’ then the price of rental and market housing on campus could be tied to the incomes of employees and faculty.” With such a large campus, it seems the there must be space available to create a stronger community. At the same time building vertically is completely viable according the the SUB Renewal Plan. Within the SUB Renewal project, the AMS spear-headed a housing-density transfer. Their survey data proved that housing densities can be shifted towards the center of campus. It also proved that the current Gage Residence hostel was too expensive for most. Whether its by building on Endowment forest land or by building vertical, both sides of the debate have proved that housing-density requirements can be met outside of the 24 hectacre Farm. After the creation of the SAS document, the denunciation of unaffordable housing and the addition of the Farm to the campus map, it is clear that student activism played a major role. It seems that the glacial rate of bureaucratic change is now in favor of preserving the Farm. However, the next hurdle is funding. This past summer a pilot project, run through the UBC Bike Co-op, made an important connection between two valuable movements: local food security and bike advocacy. Kevin Cooper and Martin Gunst launched Marketcargo, a multifaceted project that used a fleet of cargo bikes to deliver local produce from various farms (including the UBC Farm) to market locations and homes. 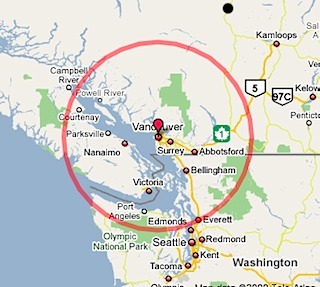 This project, although based out of UBC had a larger community scope. It is one example of an initiative aiming to address broader issues within our food system. Using Surly’s ‘Big Dummy’ as a cargo bike along with a custom welded trailer, Cooper and Gunst hauled local produce in a rough loop around the city to execute a three-pronged project. First, from the UBC Farm, Cooper and Gunst delivered the Community Supported Agriculture (CSA) boxes throughout Kitsilano. Second, Gunst and Cooper offered home delivery service to market goers at the Kitsilano Farmer’s Market and the Main St. Farmer’s Market, This meant that pedestrian market shoppers and even folks on bikes could request that the Marketcargo cyclist takes their load of groceries home for them. The idea was to discourage market goers from driving their vehicles and to encourage people to purchase all their groceries at these markets. The third aspect of the Marketcargo project included delivering produce as well as the vendor supplies from the Farmers on 57th to the Main St. Farmer’s Market, which allowed them to sell their produce outside of their own facility. UBC’s Land and Food Systems (LFS) faculty has been a significant force(? Needs a noun) in growing both bike advocacy and the local food movement on UBC’s campus. Kevin Cooper, president of the UBC Bike Co-op, noted that the connection between the UBC Farm and the Bike Co-op goes back to the Co-op’s creation. He described the Co-op as “the child of LFS.” The Bike Co-op actually started out in McMillan, the LFS faculty’s building. The LFS faculty has also been a crucial force in preserving, maintaining and growing the farm. The UBC Farm initiative began in 2000 when students in Agricultural Science (now the Faculty of Land and Food Systems) came up against plans to develop the land and expressed concern for the preservation of the land as a farm and an important outdoor education facility. The UBC Farm has remained partnered with the Co-op, using a fleet of bikes for farm staff, volunteers and visitors. This interconnectedness of sustainable transportation movements and local food movements is not insignificant. They both play into a larger food systems approach in addressing issues of sustainability. The systems approach to “building community food security requires an understanding of how communities interact with resources in their social and physical environments over extended periods of time. It also uses strategies that address broad systemic issues affecting food availability and quality” (McCullen 278). The Marketcargo project employs this food systems approach in its efforts. “Everything that we do with Marketcargo is aimed at decreasing the environmental impact of the food we eat by supporting local producers, and inspiring others to do the same,” said Gunst. The project offered home delivery of the UBC Farm’s CSA boxes to houses west of Macdonald Street. This service was free as a part of the Co-op’s commitment to demonstrating that bikes are an easy and efficient way to haul heavy loads and creating a car-free Vancouver. Addressing issues of sustainability and environmental impact within Vancouver’s transportation system is one prong of this food systems approach to community food security. “With this program, the Co-op promoted active forms of transportation, reducing motor vehicle dependence, and supporting local food security” (Coop). This promotion of the project as a holistic approach to improving the community’s food security, environment, health and economy was key to its success. “A sustainable community food system improves the health of the community, environment and individuals over time involving a collaborative effort in a particular setting to build locally based, self-reliant food systems and economies” (McCullum 278). In Marketcargo’s promotion, the Co–op spoke about the positive environmental impacts and the personal health benefits of cycling, and also the positive feedbacks of supporting the local food economy. Although this project is a part of this larger food systems approach, it is not necessarily self-sufficient. One pitfall of projects that provide free service is that the funding to operate such projects must come from outside sources. Much of Marketcargo’s funding came from a Human Resources District Canada (HRDC) grant, and much of the labour was volunteered or for school credit. Many grassroots organizations and endeavors begin this way. The existence of grassroots projects is valuable and not to be discounted. However if our aim is to drastically alter our food system and sustain that, then efforts and resources must be geared towards evolving such projects into a self-perpetuating form. As a foody, bike mechanic and amateur gardener I have a vested interest in projects that involve sustainable transportation and local food in Vancouver. I work at both Our Community Bikes (OCB) in town and The Bike Kitchen on campus. OCB is a non-profit bike shop that teaches and promotes folks to fix their own bicycles. It also develops and promotes the use of pedal-powered technology. Working for this fifteen-year-old organization, which is run by consensus, I have learned the importance of being an economically and socially sustainable operation. I have also become more critical of new projects that claim to be environmentally and socially conscious because of rampant ‘greenwashing’. However, with the increase in accessibility and popularity of projects such as Marketcargo that use a food systems approach, it is ultimately raising awareness. With increased awareness comes an increase in trust and investment in such community-focused projects. Thus leading to an overtaking of our current evil capitalist food system by a new locally environmentally and socially sustainable food system. Well, hopefully. We can call it Cyclofoodyism.